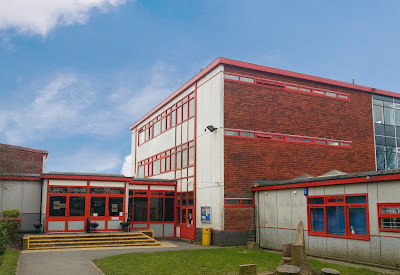 Newark & Sherwood Locksmiths has worked with John Davies Primary School to design a scaleable security solution to upgrade the facilities from mechanical locking to access control, using Mul-T-Lock’s innovative SMARTair™ system. Nottinghamshire based John Davies Primary School promotes positive behaviour by creating an atmosphere of trust, security and mutual respect. With a new headteacher in place, upgrading security on site was placed as a high priority for pupils and staff. The school made contact with local Mul-T-Lock dealers Newark & Sherwood Locksmiths located in the heart of Newark town. Following an investigative site visit Newark & Sherwood presented a security specification based on Mul-T-Lock SMARTair™ installation throughout the school. Recently, Mul-T-Lock SMARTair™ wall readers have been fitted externally to secure the perimeter of the school whilst internal office doors, including the Head teacher’s office have been fitted with innovative SMARTair™ electronic handle sets. “In order to teach and to learn, staff and pupils must feel safe and secure. This is my absolute priority for my new school, right from the perimeter and the site boundaries and throughout all internal areas. SMARTair™ is a high performance cost efficient wireless access control system that is easy to install and functions on a standalone basis, whilst having no impact on design or aesthetics.